Ripley's Believe It or Not - Panama City Beach -Purchase Combo Tickets to the Odditorium, Lase Race, Moving Theater 7D, and the Marvelous Mirror Maze! Click here to check out all of our Dining & Entertainment offers. 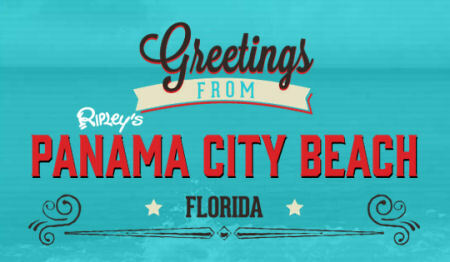 Ripley's Believe It or Not - Panama City Beach - Purchase Combo Tickets to the Odditorium, Lase Race, Moving Theater 7D, and the Marvelous Mirror Maze! Experience Four Unique Attractions including Ripley's Believe it Or Not Odditorium, a State of the Art 7D Moving Theater, a Marvelous Mirror Maze, and our impossible Lase Race, all in one convienient location. Create your own Wax hands on your visit and don't forget to stop by the Ripley's Retail Shop and pick up some gifts before you go. Combo Ticket is Good For 1 Admittance at Ripley's Believe it or Not Odditorium, Ripley's Mirror Maze, Moving Theater and Ripley's Laser Race. This ticket has no cash value. Ticket is only valid for one entry.